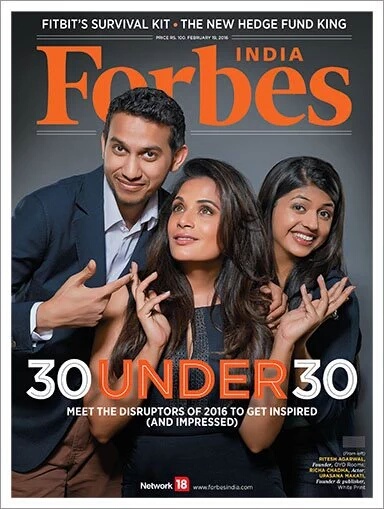 [tps_footer]The versatile actress is on the Cover of Forbes India’s 30 Under 30 project, February 2016 issue. Richa Chadda who has risen up out of the offbeat film to mainstream Hindi movies has made a niche for herself in the industry by consistently delivering epic performances by portraying some of the most difficult roles. Richa who marked a new turning point of her profession in 2015 with her widely praised film Masaan and her distinctive part in Main aur Charles went ahead to represent India Internationally when she was on the jury at the Marrakech Film Festival, which was presided by Mr. Francais Coppola, director of ‘Godfather‘. Next articleFind Out: Whats On Farhan Akhtar’s Mind After Rock On 2?